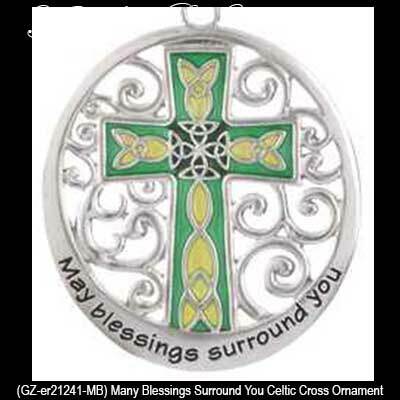 Many Blessings Surround You Celtic Cross Irish Christmas Tree Ornament with Celtic Knots. Metal Celtic Cross Irish Christmas Tree Ornament with Celtic Trinity Knots. 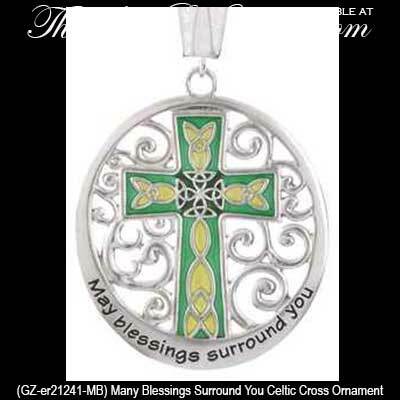 Features enamel accents, a filigree design and the message Many Blessings Surround You.